Then there’s the full-scale sacrifice of intellectual honesty and political independence at the altar of tongue-wagging partisan loyalty. The very same people who in 2004 wildly cheered John Kerry — husband of the billionaire heiress-widow Teresa Heinz Kerry — spent all of 2008 mocking John McCain’s wealthy life courtesy of his millionaire heiress wife and will spend 2012 depicting Mitt Romney’s wealth as proof of his insularity; conversely, the same people who relentlessly mocked Kerry in 2004 as a kept girly-man and gigolo for living off his wife’s wealth spent 2008 venerating McCain as the Paragon of Manly Honor. That combat experience is an important presidential trait was insisted upon in 2004 by the very same people who vehemently denied it in 2008, and vice-versa. Long-time associations with controversial figures and inflammatory statements from decades ago either matter or they don’t depending on whom it hurts, etc. etc. During election season, even the pretense of consistency is proudly dispensed with; listening to these empty electioneering screeching matches for any period of time can generate the desire to jump off the nearest bridge to escape it. Then there’s the inability and/or refusal to recognize that a political discussion might exist independent of the Red v. Blue Cage Match. Thus, any critique of the President’s exercise of vast power (an adversarial check on which our political system depends) immediately prompts bafflement (I don’t understand the point: would Rick Perry be any better?) or grievance (you’re helping Mitt Romney by talking about this!!). The premise takes hold for a full 18 months — increasing each day in intensity until Election Day — that every discussion of the President’s actions must be driven solely by one’s preference for election outcomes (if you support the President’s re-election, then why criticize him?). Worse still is the embrace of George W. Bush’s with-us-or-against-us mentality as the prism through which all political discussions are filtered. It’s literally impossible to discuss any of the candidates’ positions without having the simple-minded — who see all political issues exclusively as a Manichean struggle between the Big Bad Democrats and Good Kind Republicans or vice-versa — misapprehend “I agree with Candidate X’s position on Y” as “I support Candidate X for President” or “I disagree with Candidate X’s position on Y” as “I oppose Candidate X for President.” Even worse are the lying partisan enforcers who, like the Inquisitor Generals searching for any inkling of heresy, purposely distort any discrete praise for the Enemy as a general endorsement. So potent is this poison that no inoculation against it exists. No matter how expressly you repudiate the distortions in advance, they will freely flow. Hence: I’m about to discuss the candidacies of Barack Obama and Ron Paul, and no matter how many times I say that I am not “endorsing” or expressing supporting for anyone’s candidacy, the simple-minded Manicheans and the lying partisan enforcers will claim the opposite. But since it’s always inadvisable to refrain from expressing ideas in deference to the confusion and deceit of the lowest elements, I’m going to proceed to make a couple of important points about both candidacies even knowing in advance how wildly they will be distorted. That’s fairly remarkable: here’s the Publisher of The Nation praising Ron Paul not on ancillary political topics but central ones (“ending preemptive wars & challenging bipartisan elite consensus” on foreign policy), and going even further and expressing general happiness that he’s in the presidential race. Despite this observation, Katrina vanden Heuvel — needless to say — does not support and will never vote for Ron Paul (indeed, in subsequent tweets, she condemned his newsletters as “despicable”). But the point that she’s making is important, if not too subtle for the with-us-or-against-us ethos that dominates the protracted presidential campaign: even though I don’t support him for President, Ron Paul is the only major candidate from either party advocating crucial views on vital issues that need to be heard, and so his candidacy generates important benefits. The fallacy in this reasoning is glaring. The candidate supported by progressives — President Obama — himself holds heinous views on a slew of critical issues and himself has done heinous things with the power he has been vested. He has slaughtered civilians — Muslim children by the dozens — not once or twice, but continuously in numerous nations with drones, cluster bombs and other forms of attack. He has sought to overturn a global ban on cluster bombs. He has institutionalized the power of Presidents — in secret and with no checks — to target American citizens for assassination-by-CIA, far from any battlefield. He has waged an unprecedented war against whistleblowers, the protection of which was once a liberal shibboleth. He rendered permanently irrelevant the War Powers Resolution, a crown jewel in the list of post-Vietnam liberal accomplishments, and thus enshrined the power of Presidents to wage war even in the face of a Congressional vote against it. His obsession with secrecy is so extreme that it has become darkly laughable in its manifestations, and he even worked to amend the Freedom of Information Act (another crown jewel of liberal legislative successes) when compliance became inconvenient. He has entrenched for a generation the once-reviled, once-radical Bush/Cheney Terrorism powers of indefinite detention, military commissions, and the state secret privilege as a weapon to immunize political leaders from the rule of law. He has shielded Bush era criminals from every last form of accountability. He has vigorously prosecuted the cruel and supremely racist War on Drugs, including those parts he vowed during the campaign to relinquish — a war which devastates minority communities and encages and converts into felons huge numbers of minority youth for no good reason. He has empowered thieving bankers through the Wall Street bailout, Fed secrecy, efforts to shield mortgage defrauders from prosecution, and the appointment of an endless roster of former Goldman, Sachs executives and lobbyists. He’s brought the nation to a full-on Cold War and a covert hot war with Iran, on the brink of far greater hostilities. He has made the U.S. as subservient as ever to the destructive agenda of the right-wing Israeli government. His support for some of the Arab world’s most repressive regimes is as strong as ever. The simple fact is that progressives are supporting a candidate for President who has done all of that — things liberalism has long held to be pernicious. I know it’s annoying and miserable to hear. Progressives like to think of themselves as the faction that stands for peace, opposes wars, believes in due process and civil liberties, distrusts the military-industrial complex, supports candidates who are devoted to individual rights, transparency and economic equality. All of these facts — like the history laid out by Stoller in that essay — negate that desired self-perception. These facts demonstrate that the leader progressives have empowered and will empower again has worked in direct opposition to those values and engaged in conduct that is nothing short of horrific. So there is an eagerness to avoid hearing about them, to pretend they don’t exist. And there’s a corresponding hostility toward those who point them out, who insist that they not be ignored. 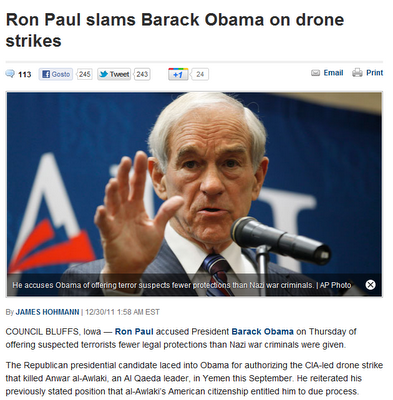 The parallel reality — the undeniable fact — is that all of these listed heinous views and actions from Barack Obama have been vehemently opposed and condemned by Ron Paul: and among the major GOP candidates, only by Ron Paul. For that reason, Paul’s candidacy forces progressives to face the hideous positions and actions of their candidate, of the person they want to empower for another four years. If Paul were not in the race or were not receiving attention, none of these issues would receive any attention because all the other major GOP candidates either agree with Obama on these matters or hold even worse views. Progressives would feel much better about themselves, their Party and their candidate if they only had to oppose, say, Rick Perry or Michele Bachmann. That’s because the standard GOP candidate agrees with Obama on many of these issues and is even worse on these others, so progressives can feel good about themselves for supporting Obama: his right-wing opponent is a warmonger, a servant to Wall Street, a neocon, a devotee of harsh and racist criminal justice policies, etc. etc. Paul scrambles the comfortable ideological and partisan categories and forces progressives to confront and account for the policies they are working to protect. His nomination would mean that it is the Republican candidate — not the Democrat — who would be the anti-war, pro-due-process, pro-transparency, anti-Fed, anti-Wall-Street-bailout, anti-Drug-War advocate (which is why some neocons are expressly arguing they’d vote for Obama over Paul). Is it really hard to see why Democrats hate his candidacy and anyone who touts its benefits? Without my adopting it, that is at least an honest, candid, and rational way to defend one’s choice. It is the classic lesser-of-two-evils rationale, the key being that it explicitly recognizes that both sides are “evil”: meaning it is not a Good v. Evil contest but a More Evil v. Less Evil contest. But that is not the discussion that takes place because few progressives want to acknowledge that the candidate they are supporting — again — is someone who will continue to do these evil things with their blessing. Instead, we hear only a dishonest one-sided argument that emphasizes Paul’s evils while ignoring Obama’s (progressives frequently ask: how can any progressive consider an anti-choice candidate but don’t ask themselves: how can any progressive support a child-killing, secrecy-obsessed, whistleblower-persecuting Drug Warrior?). Paul’s candidacy forces those truths about the Democratic Party to be confronted. More important — way more important — is that, as vanden Heuvel pointed out, he forces into the mainstream political discourse vital ideas that are otherwise completely excluded given that they are at odds with the bipartisan consensus. There are very few political priorities, if there are any, more imperative than having an actual debate on issues of America’s imperialism; the suffocating secrecy of its government; the destruction of civil liberties which uniquely targets Muslims, including American Muslims; the corrupt role of the Fed; corporate control of government institutions by the nation’s oligarchs; its destructive blind support for Israel, and its failed and sadistic Drug War. More than anything, it’s crucial that choice be given to the electorate by subverting the two parties’ full-scale embrace of these hideous programs. I wish there were someone who did not have Ron Paul’s substantial baggage to achieve this. Before Paul announced his candidacy, I expressed hope in an Out Magazine profile that Gary Johnson would run for President and be the standard-bearer for these views, in the process scrambling bipartisan stasis on these questions. I did that not because I was endorsing his candidacy (as some low-level Democratic Party operative dishonestly tried to claim), but because, as a popular two-term Governor of New Mexico free of Paul’s disturbing history and associations, he seemed to me well-suited to force these debates to be had. But alas, Paul decided to run again, and Johnson — for reasons still very unclear — was forcibly excluded from media debates and rendered a non-person. 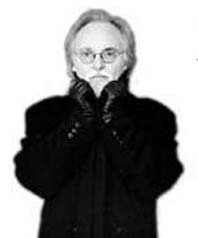 Since then, Paul’s handling of the very legitimate questions surrounding those rancid newsletters has been disappointing in the extreme, and that has only served to obscure these vital debates and severely dilute the discourse-enhancing benefits of his candidacy. 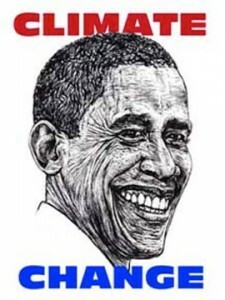 UPDATE: Also, President Obama today signed the NDAA and its indefinite detention provisions into law (a law which Paul vehemently opposed); the ACLU statement — explaining that “President Obama’s action today is a blight on his legacy because he will forever be known as the president who signed indefinite detention without charge or trial into law” and “Any hope that the Obama administration would roll back the constitutional excesses of George Bush in the war on terror was extinguished today” – is here. U.S. Drones mistook civilians for rebels at the border between Turkey and Iraq. The subsequent attack, which may have taken place inside Iraqi territory left 35 Turkish Kurds dead and wounded 15 more who were apparently smuggling fuel. Meanwhile, at least five Iraqis were killed and 18 more were wounded. In what is the largest civilian death count in Turkey’s history fighting Kurdish rebels, 35 civilians have been killed in an air strike at an Iraq border point. U.S. drones, which had been relocated from Iraq, had detected the group earlier and mistook them for rebels. Although many of the victims may have been diesel smugglers, they were not working for the Kurdistan Workers Party (P.K.K.) rebels. Over a dozen of those killed were reportedly teenagers, and some were the sons of village guards. Most of the survivors were said to be wounded, but only one injury was officially reported. Witness put the number of injured at fifteen. Kurdish officials in Turkey claimed they had warned the military of the smuggler’s presence but were ignored. Meanwhile, protests in Istanbul condemning the air strike were met with water cannons and tear gas. No injuries were reported, but several people were arrested. In recent days, Iraqi Kurdish officials had complained Turkey was still conducting air strikes, as they have since summer. Then as every summer, the Turkish military stepped up attacks against rebels who use remote northern Iraq for its hideouts. This year’s attacks, however, were more intense. In political crisis news, Prime Minister Nouri al-Maliki promised to honor Anbar province’s set of requests concerning government power abuses. The province had put forward a number of demands that needed to be meet to keep them from seeking semi-autonomy status. Despite fears that the premier is creating a dictatorship, the United States is moving ahead with military sales to Iraq. In Mosul, gunmen stormed a home where they killed an Interior Ministry official and his mother. A female police officer was wounded in a blast. An off-duty policeman was shot dead. Gunmen also killed a civilian. A bomb killed a soldier and wounded another in Safra. In Baghdad, two bombs exploded in the Adhamiya neighborhood and wounded six people. A roadside bomb wounded five people in Baquba. Four people were wounded in an attack on a school principal’s home in Suleimaniya. In Balad, a sticky bomb wounded a police officer. A sticky bomb at the Kirkuk home of a passport official left no casualties. Another bombing took place at the home of a court official. A Kurdish kidnap victim was released in Rashad after a ransom was paid. 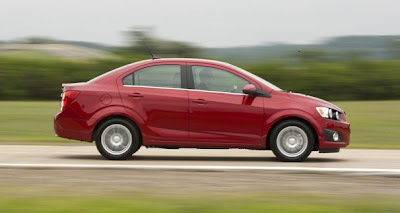 DETROIT — General Motors Co. is recalling more than 4,000 of its 2012 Chevrolet Sonic subcompact cars to check for missing brake pads. Some Sonics could be missing an inner or outer brake pad, which could increase stopping distance. GM said there are no known crashes or injuries related to the issue. The recall involves 4,296 of GM’s 2012 Sonics sold in the U.S. Affected models are from the Orion Township, Mich., assembly plant, which makes Sonics for the U.S. and Canadian markets. Dealers will inspect front brakes on Sonics for missing inner or outer pads and install new pads, if necessary. Customers affected by the recall will receive dealer letters beginning Jan. 14. Amano also rushed to meet with Israeli officials “immediately after his appointment,” consulting with Israeli Ambassador Israel Michaeli and leaving Michaeli “fully confident of the priority Amano accords verification issues.” That was another indication Amano’s IAEA would take a hard line against Iran’s alleged nuclear ambitions while ignoring Israel’s undeclared nuclear arsenal. Just as with Iraq’s Saddam Hussein, the U.S. news media treats Iran’s President Mahmoud Ahmadinejad as a designated villain whose every word is cast as dangerous or crazy. Even left-of-center media personalities, like MSNBC’s Chris Matthews and Rachel Maddow, talk tough against Ahmadinejad, just as many “liberals” did regarding Hussein. In turn, Iran has threatened to retaliate against the West’s economic warfare by blocking the Strait of Hormuz, through which one-fifth of the world’s oil flows, thus driving up oil prices and derailing the West’s already shaky economies. That threat has led to even more bellicose language from many U.S. political figures, especially the Republican presidential hopefuls who have denounced President Barack Obama for not being tougher on Iran. The fact that no federal agency is preparing for this huge wave of radiated garbage shows just how insane the leaders of this once great country have become. A massive debris field the size of California that is surely fully radiated is on its way to the west coast yet the corporate controlled media(see Project Mockingbird) instead focuses on Iran and its nuclear program. The west coast of the United States WILL be hit with at least partially radiated debris from Japan and the corporate media WILL either heavily downplay the dangers or completely ignore them all together. 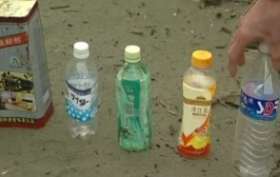 This is the first peer-reviewed study published in a medical journal documenting the health hazards of Fukushima. 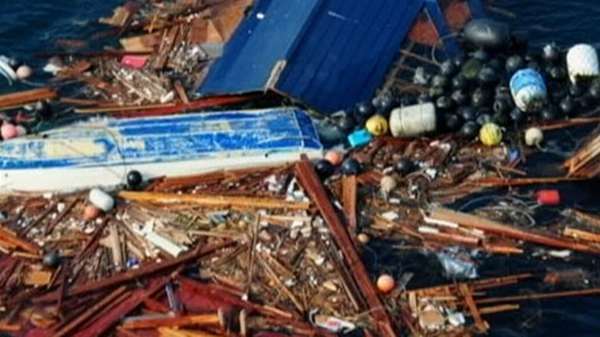 Initial reports stated that it would take up to a year for these partly radiated debris to hit the west coast, but as the video report above shows, debris have already begun to hit the coast. 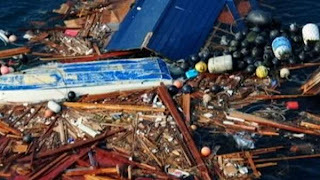 Debris in British Columbia has caused local citizens and officials to claim that this is the largest quantity of debris they have ever seen that is actually moving much faster than expected. We now live in a world where government and nuclear industry officials continually downplay the dangers of nuclear power while at the same time thousands are being devastated by its effects. Sears Holdings Corp plans to close between 100 and 120 Sears and Kmart stores after poor sales during the holidays, the most crucial time of year for retailers. Sears Holdings Corp said it has yet to determine which stores will close but said it will post on its website when a final list is compiled. Sears would not discuss how many, if any, jobs would be cut. The company has more than 4,000 stores in the US and Canada. Its stock dropped $8.67, or 18.9%, to $37.18 in morning trading. The shares dipped to their lowest point in more than three years at $36.51 during the first few minutes of trading. The company’s revenue at stores open at least a year fell 5.2% to date for the quarter at both Sears and Kmart, the company said Tuesday. That includes the critical holiday shopping period. Sears Holdings said the declining sales, ongoing pressure on profit margins and rising expenses pulled its adjusted earnings lower. The company predicts fourth-quarter adjusted earnings will be less than half the $933m it reported for the same quarter last year. Sears Holdings also anticipates a non-cash charge of $1.6bn to $1.8bn in the quarter to write off the value of carried-over tax deductions it now doesn’t expect to be profitable enough to use. The company has seen rival department stores like Macy’s Inc and discounters like Target Corp continue to steal customers. It’s also contending with a stronger Wal-Mart Stores Inc, the world’s largest retailer, which has hammered hard its low-price message and brought back services like layaway, which allows financially stressed shoppers to finance their holiday purchases by paying a little at a time. Sears Holdings Corp, based in Hoffman Estates, Illinois, said that the store closings will generate $140m to $170m in cash from inventory sales. The retailer expects the sale or sublease of real estate holdings to add more cash. Sears Holdings appeared to stumble early in the holiday season, as it opened its Sears, Roebuck and Co stores at 4 am on Black Friday, the day after Thanksgiving. Rivals including Best Buy, Wal-Mart and Toys R Us opened as early as Thanksgiving night. 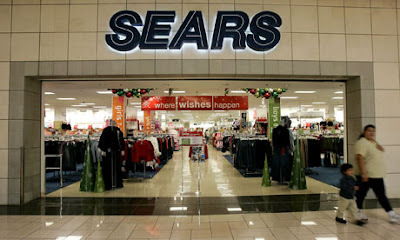 Sears stores had opened on Thanksgiving Day in 2010. Kmart has been opening on Thanksgiving for years. A hint that trouble might be brewing came in mid-December when Sears Holdings unexpectedly announced that 260 of its Sears, Roebuck and Co locations would stay open until midnight through December 23. Kmart’s 4.4% decline in revenue at stores open at least a year was blamed on diminished layaways and a drop in clothing and consumer electronics sales. Part of Kmart’s layaway softness likely stemmed from competitive pressure. Wal-Mart had said that its holiday layaway business had been popular. Toys R Us expanded its layaway services to include more items. Kmart’s grocery sales climbed during the period. Sears cited lackluster consumer electronics and home appliance sales for its 6% dropoff. Sears’ clothing sales were flat. Sales of Lands’ End products at Sears stores rose in the mid-single digits. Sears Holdings said it also plans to lower its fixed costs by $100m to $200m and trim its 2012 peak domestic inventory by $300 m from 2011’s $10.2 billion at the third quarter’s end.